We have all likely heard of the recently publicised recommendation that children under three should have no screen time. Even the over threes, it is argued, should be very restricted when it comes to time watching television and using phones, tablets and other technology. Anyone who is the mother of a three year-old knows that this is almost impossible to put into practice in the real world. There may be some parents out there who have managed to avoid screens for the first three years of their children’s lives but they are better women than me! Everything in moderation. In that vein, here is my list of four children’s programmes that may get you those ten minutes you need to drink a hot cup of tea in peace. They all have the added benefit of being under twenty minutes each, so ideal for moderating screen time. Hooray for warm beverages. This is one that many may not have heard about – it’s a Korean cartoon (dubbed into English) about anthropomorphised buses. The show can be viewed, in English on their YouTube Channel. .
My son is absolutely obsessed with Tayo, as the featured photo of his Tayo merchandise will reveal. It has enough buses, cars, fire engines, ambulances, diggers and helicopters to satiate even the most demented toddler vehicle lust but it is also colourful, simple and charming – all things guaranteed to keep toddlers mesmerised for a short time. It also has three seasons of 24 episodes each and going strong. This is one that most parents will have heard about; In the Night Garden has been around since 2006 and features as the integral part of CBeebies bedtime hour. There are only 100 episodes in total and it’s hard to believe that is had been six years since the show stopped being commissioned. It has become a ubiquitous presence for those with toddlers and the extremely popular Live Shows and CBeebies repeats mean that is not about to change. Like many programmes aimed at small children, it is a mind-boggling mixture of strange, colourful characters, repeated set-pieces and music. There is something strangely hypnotic about In the Night Garden and, the first time you watch it, you might be forgiven for wondering what the hell is going on. I have had some strange thoughts, while trying to make sense of it all. Don’t even get me started on Macca Pacca. There can be no doubt, though, that small people in particular find In the Night Garden inexplicably compelling. So it has to go on my list of Top Cuppa Kids’ TV. There is something irreplaceably delightful about stop-motion animation. For all that new technology has provided us with some excellent and imaginative new programmes, for example Tayo, listed above, I can’t help but feel a little shudder of disappointment when I see old favourites like Fireman Sam and Bob the Builder superseded by their whizzy, CGI replacements. 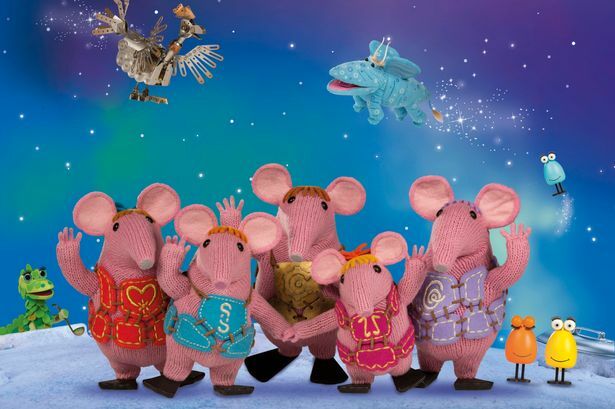 Part of the reason that the modern incarnation of The Clangers retains so much of the joy and whimsy of the original 70s series is that they are the same knitted, stop-motion characters we know and love. Like the other programmes on my list, it is colourful, musical and eccentric. The Clangers is extremely aesthetically pleasing to watch – something about the bright, rainbow deliciousness of the characters compared with the bleak and almost sombre backdrop of the planets. It is also narrated, in consummate magnificence, my Michael Palin, and his is a voice I could listen to all day. I fail to see how it could do anything but calm even the most overwrought of toddlers. Also, the music trees are enchanting. Another reincarnation, and one I almost didn’t include; The Teletubbies have divided public opinion since their first inception in 2001. The newest edition has all the elements of the Teletubbies that we know and love -improper grammar, mindless repetition and Tubby toast – with a few interesting additions. Not least surprising is the introduction of what appears to be some sort of crèche containing the ‘Tiddlytubbies’, toddler or baby versions of the bigger characters. It is unclear whether the Teletubbies have started reproducing, or whether they have set up some kind of child-minding business, but one thing is certain – it is highly doubtful that their establishment would pass an Ofsted inspection. Interesting Teletubbies Facts! – The new voices of the voice trumpets are Fearne Cotton and Jim Broadbent, in case you were wondering where those recognisable voices came from. Even more interesting, you may well recognise, but find difficult to place, the voice of the overall narrator. It is none other than Daniel Rigby, an actor you may be familiar with for his work in the BT student broadband adverts. 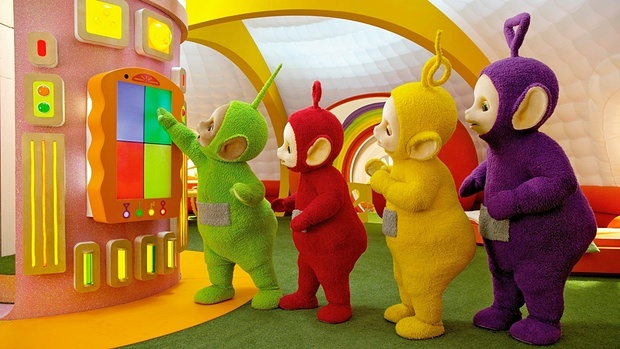 I admit that I do not enjoy watching Teletubbies as much as I do some of the others on the list – it is just a bit too mind-numbingly repetitive for me. In the end though, I decided it had to go on the list just because of how effective it is in diverting small children’s attention. 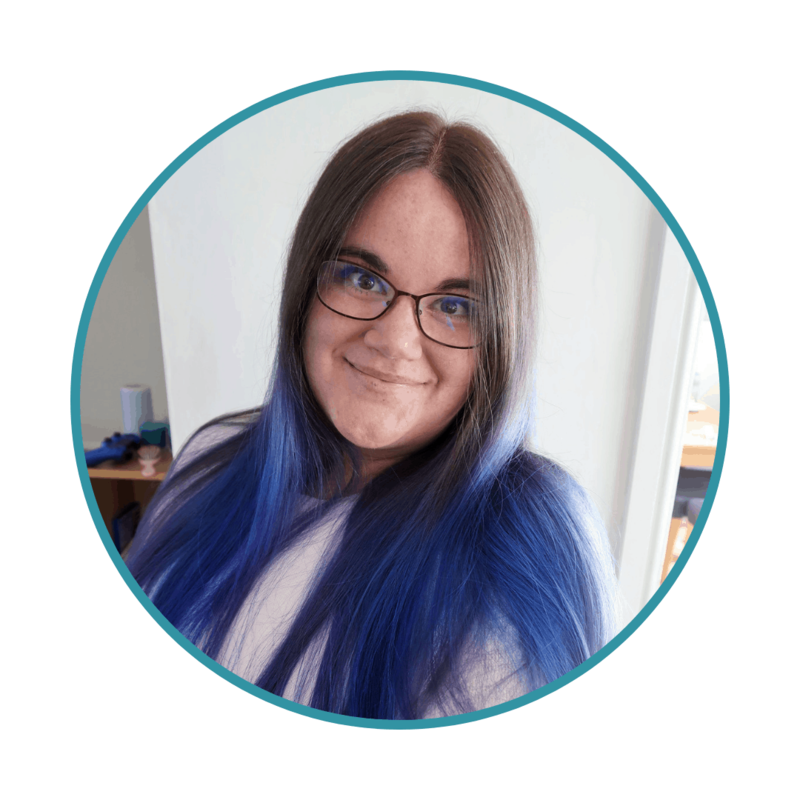 When it first started again in 2015, I was just returning to work as a teacher after my second maternity leave. Mornings were, and are, extremely hectic to say the least. Teletubbies was guaranteed to give me the ten minutes I needed to pack my lunch, run a brush through my hair and actually find everybody’s shoes before leaving the house. Therefore, it has to be a ‘Hot Cuppa’ favourite. Whether you pay heed to the warnings about screen time for toddlers or not, it seems very unlikely that parents of children under four will be able to avoid programmes of these sort completely. And a peaceful moment to yourself as the carer for a tiny person or two is something we all need, just occasionally. In the Night Garden used to be a favourite bedtime programme in our house! When it first came out, it made no sense, but then we decided not to try to understand it! My baby is only 9 months but when the older ones are at school I can get a full 15 minutes to enjoy a hot drink if he’s parked in front of Teletubbies! I do quite enjoy it! My boys grew up on Teletubbies! And they watched a lot of Thomas The Tank Engine, Postman Pat and Bob The Builder! 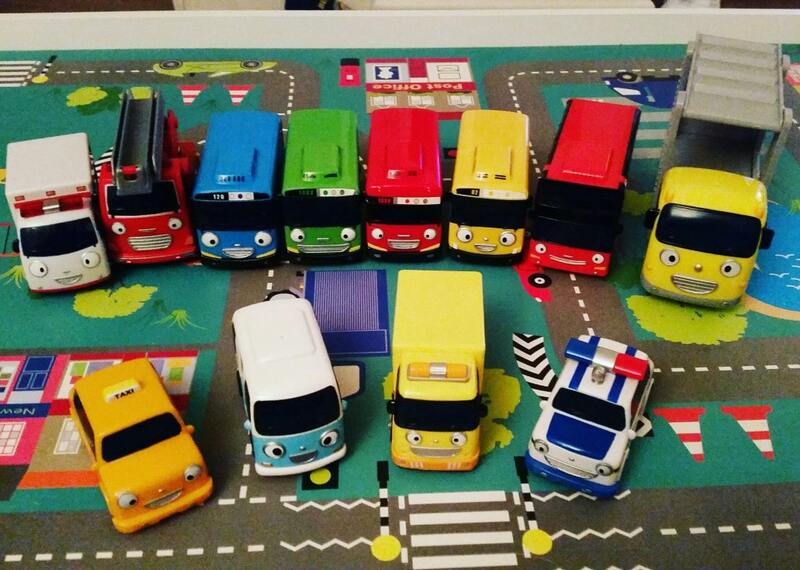 Ahh I think my youngest son would like Tayo The Little Bus – will have to check it out. He still likes watching Night Garden and Teletubbies but thanks to having an older brother he also watches things like Blaze on Nick Jr!